Anywhere between 20-50 million people are injured every year as the result of a car accident. While some people are able to walk away from the scene of a crash with minor scrapes and bruises? Others aren’t quite so lucky. There are countless heartbreaking stories of people who are left paralyzed in some way because of a car accident. This can include half body paralysis, whether temporary or permanent. Though getting the right treatment — which will also include counseling — is important? 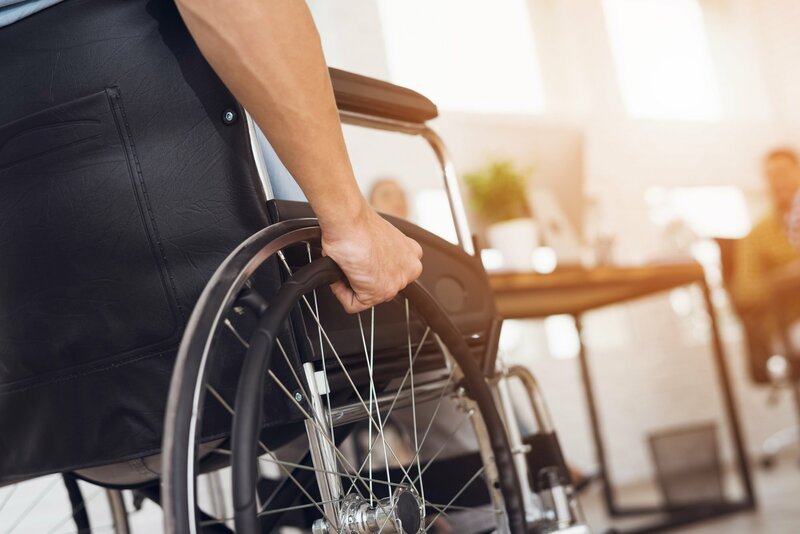 You also need to understand what to expect after you’ve or a loved one has received paralysis of one side of the body or another form of paralysis after a car accident. This post is here to walk you through it. We’ll also let you know where you can find the right legal representation. Especially if the accident wasn’t your fault, you are absolutely entitled to — and should pursue — compensation. Before we get into anything else, let’s make sure you know what half body paralysis is. You may have also heard it referred to as hemiparesis or even hemiplegia. While this type of paralysis of half the body can be caused by strokes, a tumor, or even disease? The trauma suffered as the result of a car accident is among the most common causes. If you suffered a brain injury as the result of your car accident, then your risk of developing paralysis is even higher. You should expect to lose the ability to control the side or half of your body that’s been impacted by the paralysis. This is because the part of your brain that’s responsible for controlling the movement of the muscles can no longer function as it should, as a result of the trauma. In some cases, your paralysis may go all the way up to your torso. Unfortunately, just because you don’t feel any sort of paralysis in the days and weeks following the car accident, doesn’t mean that you’re always out of the woods. In many cases, the condition will take time to fully develop. You may notice that your motor skills just aren’t what they used to be. You may start to see tremors developing in your body. You should also expect to have to face things like temporary or permanent numbness. You should keep strict financial and medical records on hand so that you can provide them to your insurance company. You should also make certain that you get in touch with your insurance company as soon as is possible after the accident. Be aware, however, that getting covered or reimbursed for medical expenses can sometimes be an uphill battle. Later on in this post, we’ll talk more about why it’s so crucial that you have the right representation on your side. There are, of course, many ways in which becoming temporary or permanently paralyzed will change your life. First of all, you’ll need to begin to attend physical rehab. While there is no guarantee that you’ll be able to recover full or even partial movement in the affected area, the goal will be to help you to learn how to live your life while paralyzed. You may also notice that you sometimes have trouble speaking, or that when you do speak, it’s not as easy for others to understand you as it once ways. In some cases, the muscles on the opposite side of your body will start to atrophy. You may even develop chronic pain as a result of the paralysis. You may notice that your mood is severely impacted, as well. Of course, this is certainly the result of depression or even PTSD because of what the accident has done to you. But it’s chemical as well because part of your brain has been seriously impacted by the paralysis. You may also be much more likely to start having seizures, or just notice that your muscles sometimes move on their own without your control. We’re fully aware that, even if it only ends up lasting for a short time, paralysis can be just as mentally debilitating as it is physically. We strongly suggest that you meet with a mental health professional, and also that you consider joining a support group for others who are in a similar situation to your own. You may also need to undergo a few surgeries. These will commonly help you to deal with damage to the spinal cord, muscle contractions, and much more. You’ll likely need to go on medication as well — especially right after the accident. You may need to take antibiotics, not because of any injuries you sustained in the accident. In fact, many people who have become paralyzed take antibiotics because they’ll help the victims to lower their risks of developing a traumatic brain injury after the fact. Your doctor may also choose to give you muscle relaxants. This will help you to deal with the pain associated with paralysis. Make sure that you and your doctor talk fully about any other types of medications you’re currently taking before you add anything new. Finally, you may also be put on blood thinners. These will help to lessen the likelihood that you’ll have a stroke, which you’ll now be at a higher risk for due to the paralysis. These blood thinners may also be able to help minimize the potential of blockages in your heart and bloodstream. In short, you should certainly expect to need to add many more medications to your daily routine. Of course, you’ll also need to consider the financial consequences of your paralysis. Especially if you need to pay for a full-time caretaker, or if one of your loved ones will quit their job in order to take care of you? You need to be certain that you not only get support from your insurance company but from the person who caused the accident as well. You’ll need to pay for time off work, pain and suffering, medical treatments and diagnoses, doctors appointments, transportation, medications, and perhaps even a wheelchair. You must have a lawyer on your side, as cases where one party was left paralyzed will undoubtedly end up in court. If you’ve experienced half body paralysis or even any other type of injury as the result of a car accident, you need to be certain that you have the right people on your side. Your insurance company and the other people involved in the accident are going to do anything and everything that they can to attempt to discredit you. You also need to ensure that you know how you should behave — for example, refraining from certain posts on social media — in order to avoid jeopardizing your case. But why should go work with us if an accident has left you with paralysis of the lower half of the body? First of all, we have a wide range of experience in many different kinds of car and truck accidents. We’ll work with you to ensure that you get the maximum compensation possible within the state of Louisiana. We’re so committed to bringing you the justice you deserve, that we’ll even offer you a complimentary review of your case. During the consultation, you’ll learn about what you can expect in the courtroom as well as the potential sum you may be able to get. We offer a 100% satisfaction guarantee, and our years of courtroom experience and membership to several law associations give us the connections you need. We know that dealing with both the physical and mental after-effects of a car accident that left you with half body paralysis — whether temporary or permanent — are hard enough on their own. We hope that this post has helped you to learn more about what you can expect your life to look like, the importance of seeing a doctor, and why you need to get the best possible representation. In addition to assisting you with car accident claims and cases, we can also help with boat and motorcycle accidents, dog bites, wrongful death lawsuits, and much more. Are you ready to get the justice you deserve — and possibly take a guilty person off the streets? If so, get in touch with us today to get started. Accident Lawyer: Should I Get a Personal Injury Lawyer?